On December 8th, four of our seminary students became the first graduates of our Pastoral Formation course. I had the privilege of being the patronesa, which means they gave me the honor of naming their graduating class after me. It was a wonderful time to praise the Lord and celebrate. Each of these four students passed through difficult times during their training, but all persevered and were able to finish! Nathan is currently finishing his Bachelor of History degree and as of January is working as an assistant pastor in another city in our state called Caxias do Sul. For those of you who know Herman and Ardath Effa, he is serving at the church they planted when they were missionaries in Brazil! 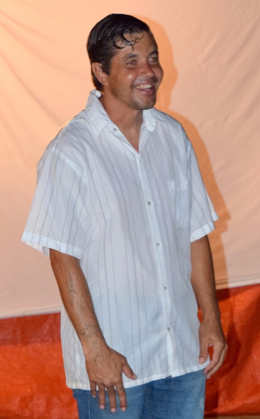 Marcos is an accounting assistant as well as serving as worship leader and small group leader at his church. 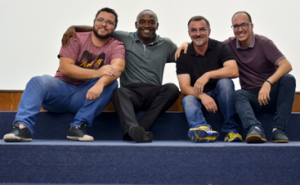 Last year Alexandre was hired as a pastor at his home church and as of December is serving as the pastor of one of the church’s church plants. He also makes furniture for extra income for his family. 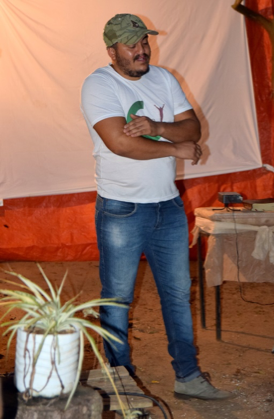 Enivaldo serves as a small group leader in his church as well as leading the worship and evangelism teams. He also works for Azul Airlines. In December I had the opportunity to be the speaker at the annual retreat of one of our Baptist churches in a neighboring city. The theme of the retreat was “The Right Way of Life,” based on the book of Proverbs. At the beginning of February, during the Misseo Dei Missions Conference at my alma mater, Providence College and Theological Seminary, I gave a workshop via Skype about the important role international missions still plays. At the beginning of January I went to see a rheumatologist to be tested to see if rheumatoid arthritis was not the cause of my chronic pain. I was experiencing more pain in my joints, especially on the right side of my body. All the tests but two came back negative, so we were able to rule that out as the cause. I then asked if it could be tendinitis or bursitis, so my doctor sent me for an ultrasound of my right shoulder and elbow. The results were very surprising. All of the tendons except for one in my right shoulder are ruptured. There is also a large cyst. Both the shoulder and elbow have severe tendinitis and bursitis, as well as a lot of liquid. We are now thinking this could be the root of all my back pain. Because it was not discovered until now, the muscles have had to try and compensate, likely causing all the other issues and quite a lot of pain. Because I was in so much pain in my upper back at the beginning, it was difficult to pinpoint the exact location, so that’s why it wasn’t discovered initially. For now, I’m on 4 different types of pain medication, 2 injections of cortisone, and physiotherapy for 2 months. If things don’t improve, I will probably have to have surgery. In January, Paulo and I were able to lead the worship music at the graduation of two men who completed the 9-month program at Peniel Project, the addiction rehabilitation centre run by Pastor Jocelito and Luciana, members of our church. What a joy to celebrate this victory. Both men will stay at the centre: one is now a supervisor, and one is now the chief baker preparing the kuchens and bread that are sold to help support this important ministry.